Let's start the week with some flakies, shall we? I started with three thin coats of Essie Cocktail Bling, a light grey/blue/lilac creme. On top of Cocktail Bling, I dabbed some ILNP Atlantis. "Atlantis is breathtaking. 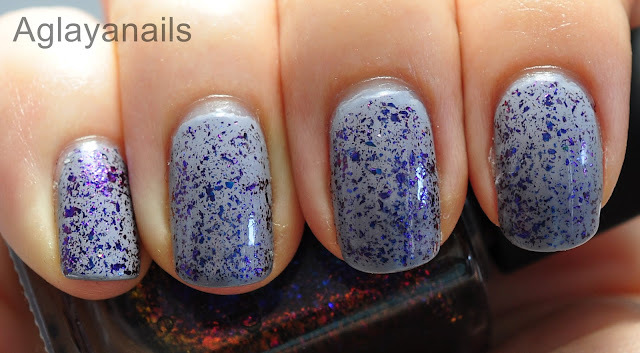 This beautiful Ultra Chrome Flakie magically travels through hues of blue, orange, purple, and red. The colors are so vibrant they almost appear as if they're glowing. A personal favorite!" (Source: ILNP) I finished with one coat of KBShimmer Clearly On Top. 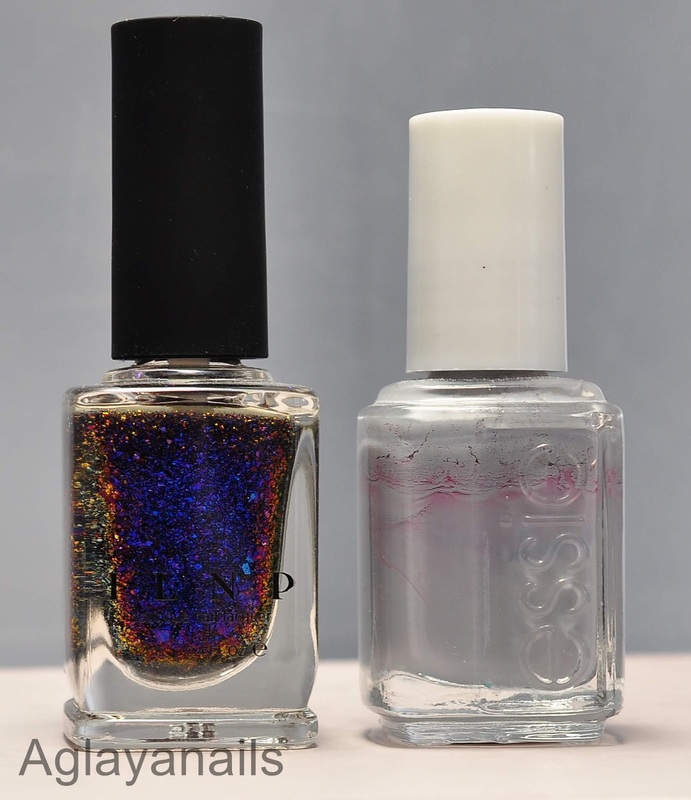 ILNP polishes are available on Etsy, Hypnotic Polish, Harlow & Co. and at their own shop.